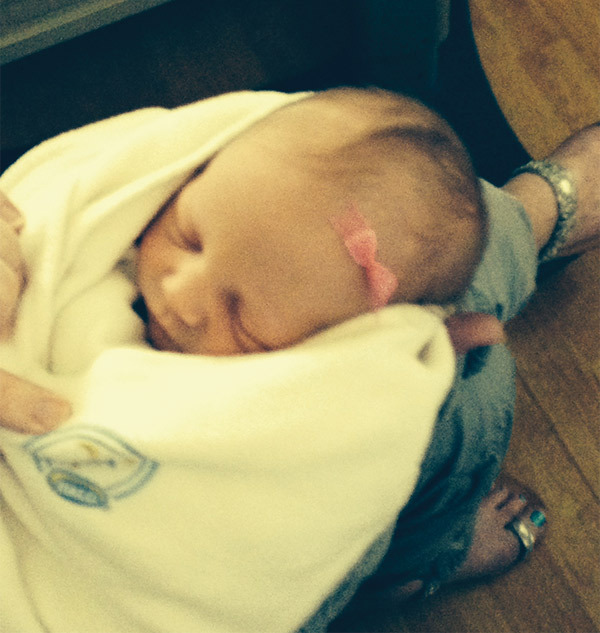 Last week we celebrated when our niece Kaydee and her husband Trevor’s baby girl was born. She is the first baby born to the next generation of Rodgers and she’s perfect! There is just nothing better than a new baby! My sis in law Tonya sent me a picture of her sweet nursery. They used creams and lots of happy colors to decorate. 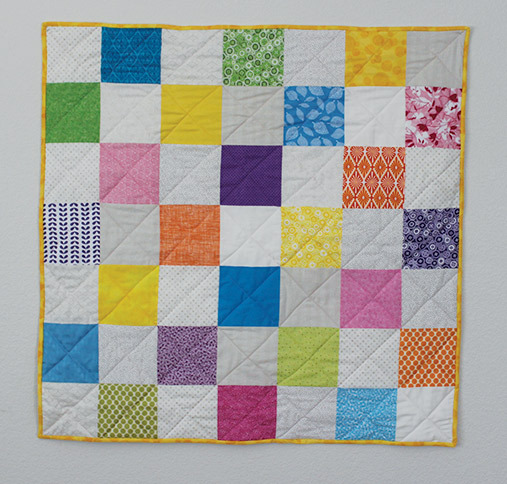 With that in mind I set about making a quilt. This is what I ended up with. It was fun to use so many colors. 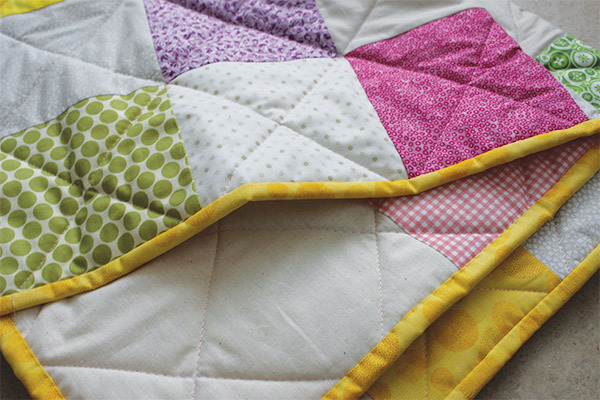 I quilted a simple criss-cross pattern to go along with the simplicity of the rest of the quilt. It makes me smile every time I look at it. Welcome baby Abbigail. I hope someday you understand how many people love you and want the very best things in the world for you! So cute! I always love seeing your creations!